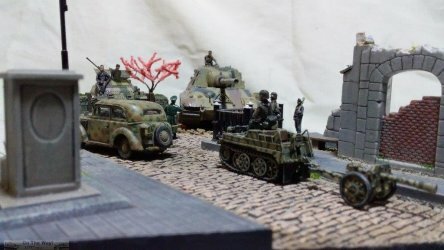 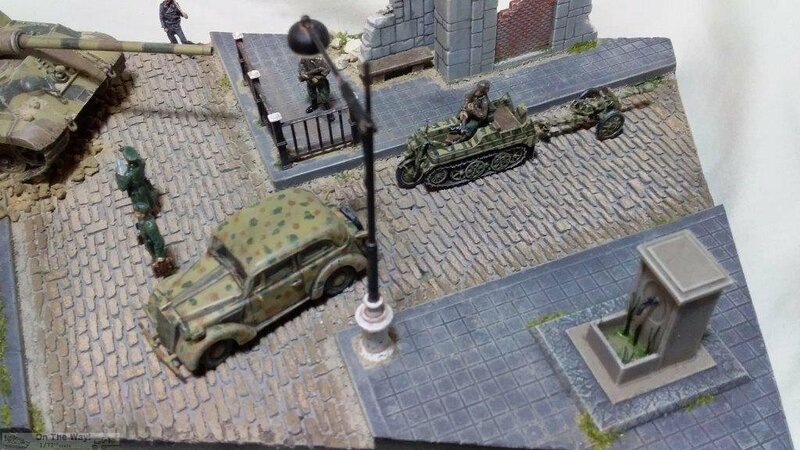 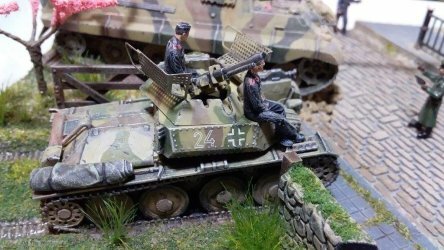 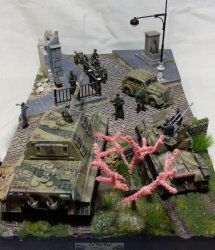 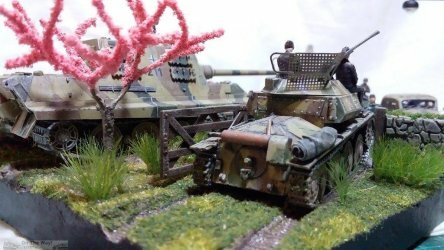 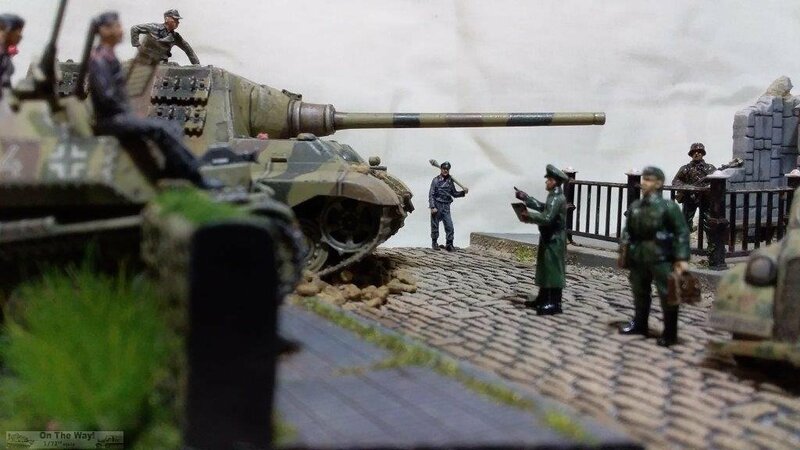 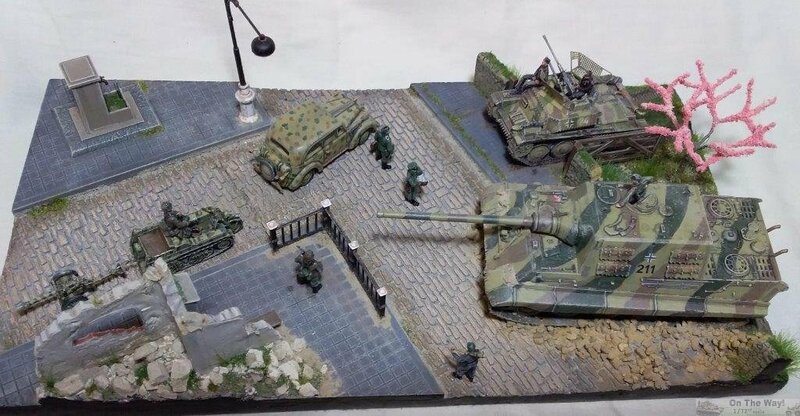 The vehicles are: S-Model's Kettenrad and Pupchen, Ace Opel Olympia, UM Aufklarungspanzer 38(t) and Dragon's new Jagdtiger. 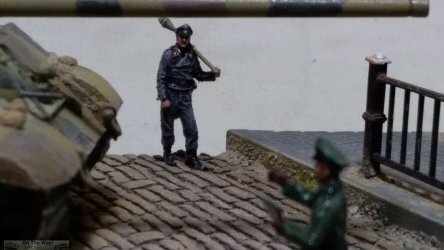 The figures are Orion and Caesar Miniatures. All the street fixtures, stone wall and building ruins are by Italeri. 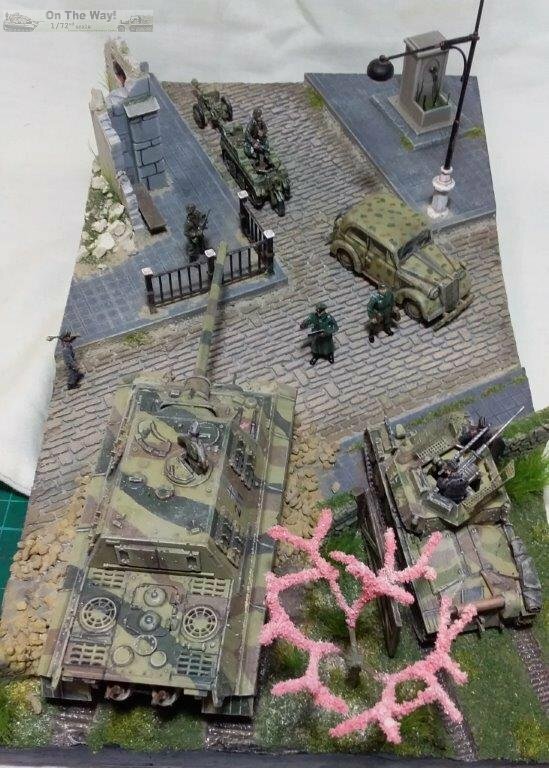 I don't know who makes the cobbled road but it was meant to be a retaining wall for railways and is made of light weight foam. The pavement is Evergreen styrene sheet and rod with wall rubble from my local model shop, and kitty litter for the building rubble. I made the cherry tree from copper wire and foam flock, it's modelled on a tree on my front lawn and not a piece of coral like my mate said! For some reason the Caesar Miniatures figures turned out shiny, they have three coats of matt varnish on them but they still look like they've been waxed.